GALA / Off to the Races! Name: GALA / Off to the Races! Join us for an exciting night full of activiity. To Register, click on the "Register Now" button at the top of this page. Tickets must be picked up at the Chamber of Commerce prior to the event. 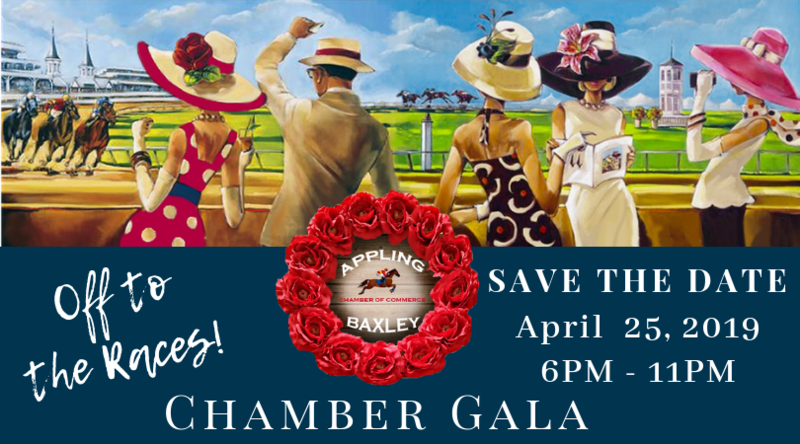 NON CHAMBER MEMBERS MUST REGISTER AND PAY FOR TICKETS IN PERSON AT THE CHAMBER OF COMMERCE.